Have you struggled with closing SEO services clients? Are you new to selling SEO and looking for pointers? Or are you experienced and looking for a new edge? This guide provides you with a proven sales pitch template and process that will help you win more business. Let’s get started! Now, let’s take a comprehensive look at the process we go through to sell SEO services. The process for selling SEO involves developing a high-quality list of prospects, introducing yourself and your firm to those prospects, and persuading them to buy your services. Below is a diagram of the four-part process. The days of looking a local business up in the Yellow Pages are a bit antiquated. Small businesses need to have a presence online and leverage digital marketing tactics to improve their online visibility and/or drive traffic to their brick-and-mortar locations. The challenge is that many small businesses don’t have the time to invest in learning SEO and inbound marketing. They either fumble along with a less-optimized presence or hire someone to do the work for them. Your goal should be to find people with a less-optimized online presence and help them understand how you can impact their business with a smart SEO strategy. How do I find the right prospects? Finding the right SEO prospects is very doable. You need to commit yourself to building a focused SEO sales pipeline and use some of the tactics below to build a strong list of candidates. Analyze your existing business to determine if there are industries where you’ve had success. For example, you may find that 40% of your clients are dentists and the remaining 60% are scattered across other industries. If this is the case, you’ve naturally built up the specialized expertise needed to help dentists succeed with SEO. Since you already know how to market for dentists, it will be easier to sell SEO services to other dentists. In this case, you’ve got the industry knowledge and experience to quickly gain the trust of your dentist prospects. Determine categories that are interesting to you or areas that you’d like to focus. Conduct a basic category plus location search (e.g. ‘lawyer Chicago’, ‘plumber West Chester’, ‘architect New York’) in the search engines to look for businesses in that category who are on Google page 2 or beyond. Open up the local Yellow Pages and look to see who has the big ads. People who spend in the Yellow Pages are generally established businesses with advertising budgets. Ads in the Yellow Pages can range in price from a couple hundred dollars to tens of thousands of dollars depending on the location, placement and size of the ad. These are real marketing dollars for which you can compete. Verify their visibility online with their website, directory listings and social media properties. Sometimes smaller businesses will spend top dollar advertising in the Yellow Pages but will not have an optimized web presence. You can easily leverage this insight to create a targeted list of prospects. Look for lists of businesses in your area. A few great places to start include Yelp, Google+, the local Chamber of Commerce, Angie’s List, ServiceMaster and Thumbtack. Use these websites to browse lists by category and start compiling your prospect lists. Using these methods, determine who you think needs the most help. Search online to see which businesses are performing poorly (page 2 or beyond) in the search engines or have limited visibility in directories and social media outlets. Build your list of prospects based on your assessment of their SEO performance potential. Save their contact information along with any preliminary notes on the prospect and their potential. The beauty of this process is that you can scale it up and down. On a smaller scale, you can use it for one-by-one prospecting — working on one prospect at a time. For larger companies, you can have one person prospecting a deep pipeline while another person focuses on selling. Regardless of scale, the process for prospecting and building the pipeline is the same. And how can I help them? Who are influencers and decision makers in the company? Review their LinkedIn profiles to get an initial introduction to their background. Who is the company’s target audience or customer? What is the persona of that customer? How much do they charge for their products? What appears to be the method used to capture business leads? Who is their primary competition? How well are they competing? Have they done SEO before? How well optimized is their website? Are they participating in Social Media? Are they consistently using Social Media to promote their brand and build an engaged community? 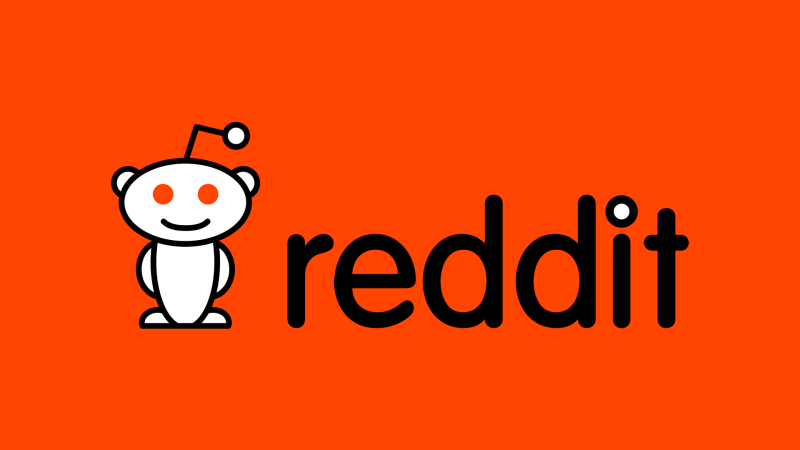 How is their branding across online properties? Are they consistently branding? Are they creating high quality content and distributing that content? Assess their content management and marketing strategy. The goal of research is to develop a solid understanding of their business and online marketing opportunities before you make the introduction. This allows you to have a knowledgeable and productive conversation about their business. You’ve got the list, you’ve done your research and now it’s time to make a connection. Prioritize your target list and start reaching out to each prospect via email. My experience has been that emailing works best since you’re able to get tangible information into a prospect’s hands easily. It’s about establishing your credibility. They are only going to buy your ideas if they buy you first. Send the email. Use a business email account and a professional photo on your email. You will look more legit! Make sure your signature is professional and credible. The goal of this email is to convince the prospect to sit down with you on the phone or in-person so you can deliver your pitch. There are many ways to approach selling SEO. I have found that a consultative approach works best for me. You want to position the sales pitch based on the client’s problems rather than selling them a canned solution. Every business is unique and has different challenges. Although the foundation of an SEO program may be similar (on-site optimization, link building, etc. ), what matters to the prospect is understanding how the program will be tailored to address their unique business challenges. At the end of the day, people want to be heard and feel important. If the sales pitch speaks directly to the prospect’s needs then they’ll find more value in the presentation and proposal. This section of the SEO sales pitch will describe the state of the existing program. A good vehicle to use to demonstrate the analysis is to present the material in a SWOT (Strengths, Weaknesses, Opportunities and Threats). The SWOT is more objective in nature and also does a good job of presenting the information in a format that can easily be interpreted. Additionally, you will want to include the SEO Report Card results and any information gleaned through the prospecting phase that identifies issues with their current SEO program. Directly state how your solution will address the issues and challenges identified in the situation analysis. You want to identify the pain points that your service will alleviate for the prospect. Steer clear of promises of first page placement and focus on the tactics you will implement to improve their online exposure on multiple platforms throughout the web (i.e. Search Engines, Local Directories, Social Media, etc.). Include a description of the solution along with the timeline for delivery. The timeline can be high-level. It is really important to include this detail in the pitch because it builds confidence with the prospect. It helps them know that you have already thought about delivery and implementation. Present the prospect with a full list of the metrics being tracked and the reporting frequency. Include screenshots of the example reports so that they get a feel for the format of the reporting. Also denote how the reports will be distributed and discussed. Provide the client with the proposed pricing along with an ROI analysis. It’s important to price the engagement competitively. Budgets range from $500 to $3,000 per month for small businesses depending on the type of industry and competitiveness of the keywords. Once you have nailed down the pricing, figure out the ROI and use it to sell the value of your program. Here’s a simple SEO ROI spreadsheet that you can use to determine the ROI based on a few inputs (instructions inside). Use this section to introduce the members of the team so the client will become familiar with who they will be working with on the engagement. Include professional facts along with some fun facts that show personality. Be sure to attach a photo so there’s a face with the name. Kristen Quinn, Inbound Marketing Consultant for UpCity, has over fifteen years of digital marketing experience. Throughout her career, she has helped large enterprise clients and local small businesses improve their marketing results by using strategic thinking and proven methodologies. Outside of work, Kristen can be found chasing her two kids and tending her garden. If you plan to use tools (e.g. project management and reporting tools) to help you manage the project and do the work, it’s a good idea to share these tools with the prospect. Having infrastructure behind the services shows that you know how to run a scalable operation so that you can focus more of your time on the program strategy. Similar to references for job candidates, client success stories and case studies help you put your best work on display and tell the prospect about your accomplishments. I always like to highlight a case study for a client with similar challenges as the prospect along with a case study that demonstrates optimal results. 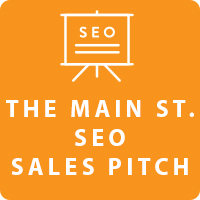 To make your life a little easier, I’ve pulled together this entire pitch into a free Main Street SEO Sales Pitch template. Enjoy! Schedule the sales pitch call or meeting and be sure to set aside enough time for a thorough Q&A session. You will want to be able to answer as many questions as possible during that meeting so that the prospect walks away with enough information to make their decision. If you have an agency with a sales team and a services team you may want to consider bringing a member from the delivery team with you to the pitch. Meeting the team member helps prospects get a feeling for who they’ll be working with on the engagement. It helps them build rapport and trust that there is a knowledgeable resource behind the sales team who will deliver upon the goals. Additionally, the team member can help answer the trickier SEO questions that the sales team may not be able to answer. This may reduce the close time because many of the questions can be answered during the meeting. Meet with the client and deliver the pitch either in person (local) or via video conference (remote). During the SEO sales pitch, be confident, poised, and professional. Don’t lose your personality and be authentic and honest. Like I said before, you are pitching a services business—as much as the client is buying a digital marketing program, they are also buying a team and want to be comfortable with that team. Speak in a language that the client will understand and avoid technical jargon. Let each person in the meeting have a speaking role and a voice in the discussion. After each slide, ask the client if they have questions about the content or need additional explanation. The pitch meeting should be conversational with the presentation facilitating the discussion. Wrap up the presentation by answering any outstanding questions about the proposal and establish a time and day for the follow-up call. Leave the prospect with any collateral and onboarding information needed to get started. You want to streamline the contract and onboarding process as much as possible so that it’s minimal work for prospect. Finally, thank the prospect for their time during the call and follow-up with a handwritten thank you note in 24 hours. Step 4: Close the Deal! You’ve done your research, created a fantastic solution and presented it. Now, you need to get the prospect over the finish line. During the check-in call a few days after the pitch, present the prospect with an interesting article about their business or something that reminds them of the conversations you had during the pitch meeting. You want to show that you’re already deep in the account and thinking about the prospect’s business. Ask when the decision will be made and hold the prospect to that date. If there are delays, inquire about the reasons for the delay and see if there is additional information you can provide to help them make the decision. If they aren’t closing quickly, you’ve got to find out what’s holding them up. Follow up with the prospect periodically until you are able to get a firm answer. Start to finish it may take anywhere from a few weeks to a few months to close a deal. If they decline your proposal, see if you can schedule a call in a few months to check in on their campaign progress. It’s also wise to ask them to subscribe to your blog. If they grant you the business, sign the agreement, set-up the kick-off and celebrate!